George L. Coar is a fourth generation Orlando native. He is the eldest son (four boys) of a career military veteran, a man that would serve his county from Hitler to Ho Chi Minh, (World War II through Vietnam). This is relevant because of the educational opportunities that were afforded to George and his siblings during some of this country’s most racially charged years. This set the tone for a dedicated work ethic and established the importance of faith and love for God and family. George is a graduate of Florida A&M University (BS Political Science 1973). He holds a master’s degree in Theology from the International College of Ministry. He has served in senior management in several large corporations and as a marketing manager in the automotive industry. 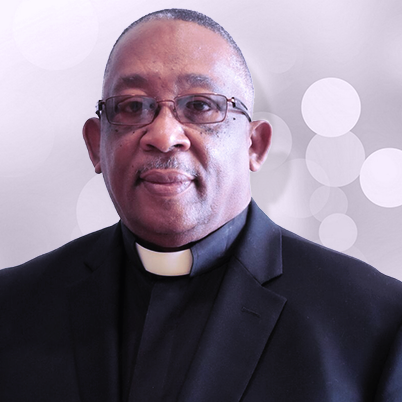 George has served at The Hope Church of Orlando since the fall of 2007, and as the Campus Chaplain since 2015. It is his belief that God has given each of us an assignment and regardless of our age, we will accomplish that work. George has served on the Board of the Wayne Densch YMCA and on the Trustee Board of the now defunct Princeton Hospital. He also was a Rotarian for twenty years, and a Junior Achievement Instructor. George enjoys golfing, biking and he is a certified dive master.